August | 2010 | Arthur in the Garden. The heat and humidy has helped everything to grow fast but also brings mildew. Companion plantings of marigolds and basil help to reduce the threat of insects. The hot nights slow the blooming cycles of the peppers and tomatoes but once the nights cool they will begin blooming again! 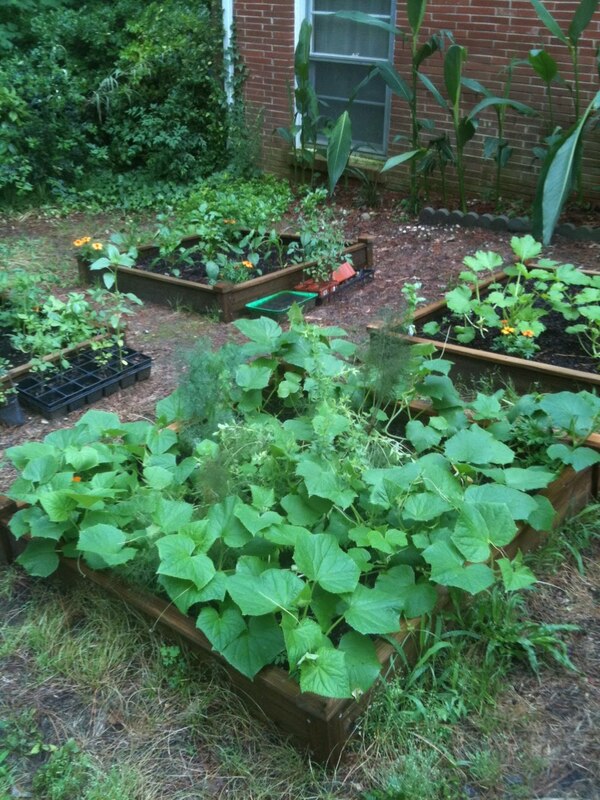 It will soon be time to plan the Fall garden of lettuce, carrots, radishes, and maybe collards and cabbage?